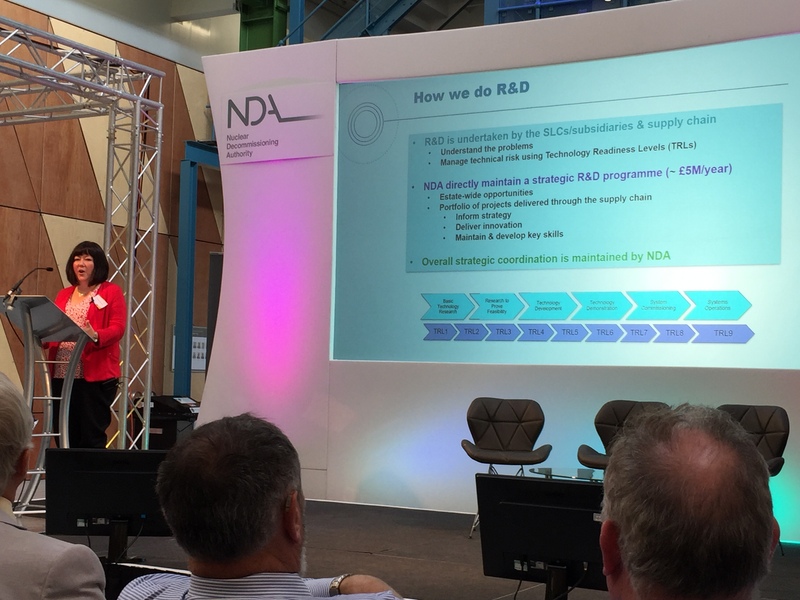 I was really proud to be able to share, at the recent NDA Stakeholder Summit, how technology and innovation are helping deliver progress in decommissioning. Research and development and innovation have a key role to play in helping us deliver our mission in ways that are faster, safer and cheaper. There are great examples from the NDA’s programme and those of our Site Licence Companies and subsidiaries where innovation is changing how we go about things. Developments in remote and robotic technologies are helping us understand the challenges better and enabling us to reduce dose to workers. So it’s an exciting time and recent government priorities reflect that. First, the government published the Industrial Strategy in November 2017. This stressed the importance of innovation and provided funding which we’ve benefitted from, in addition to funding to support our robotics demonstration collaboration with Innovate UK. More recently, the government published the Nuclear Sector Deal which highlights £200 million to secure the UK’s diverse energy mix and drive down the costs of nuclear energy, meaning cheaper bills for customers. New ideas and innovation will be needed if the nuclear sector is to reduce the cost of new build and decommissioning. In meeting that cost reduction challenge there will be significant opportunities for the sector to support growth across the country and contribute to the Clean Growth Grand Challenge. This Deal also includes a £32 million boost from government and industry to kick-start new advanced manufacturing programmes, including R&D investment to develop potential world-leading nuclear technologies like advanced modular reactors. There are broader challenges in the Deal which applies across the nuclear sector. It focuses on and encourages progress, such as reaching the target of 40% female employees in the industry by 2030. However there are also some challenges more specific to decommissioning, such as reducing the cost of decommissioning by 20% by 2040. This will mean continuing to seek solutions from within, where we have expertise to understand the challenges, but increasingly through collaboration beyond the sector. 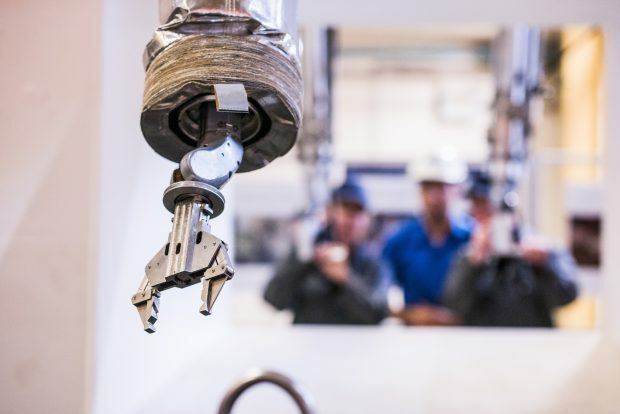 These could be from the likes of other regulated hazardous environments such as oil and gas, space, mining and from other technology areas like big data, construction and aerospace. Innovation is not just about the tools and technologies though. A culture that rewards and values innovation will be essential too. It’s an exciting time and I’m sure we will collectively be able to support industry rising to the challenge to drive through these changes that will help us achieve the cost savings in the Deal. The Sector Deal has the potential to benefit all parts of our work and our estate. Collaboration will be important, and I’m very pleased to say that Shaun Kelso, from Sellafield Ltd, has been seconded into the NDA and will be leading the NDA Group’s work on the Sector Deal.